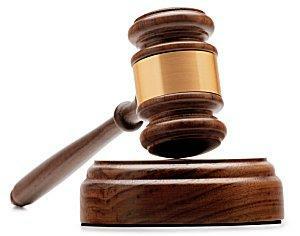 Auctions can be great deals or bad scams. Shopping online for engagement rings may seem easy and convenient, but online jewelry auction scams can cost unsuspecting buyers thousands of wasted dollars for fraudulent purchases and other sales problems. Knowing what types of scams are most prevalent as well as how to avoid them is the key to finding a great online deal without worrying that it may be a poor choice. 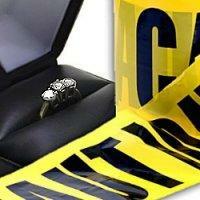 Selling stolen or illegitimate items, such as selling a ring as a punitive act before a divorce is final. Offering an item for sale but intentionally failing to ship it after the payment has been received. Providing forged appraisals or certificates to inflate the value and price of an item. Misrepresenting the item's characteristics, such as the clarity or carat weight of diamonds as well as whether the metal is pure or simply plated. Misrepresenting the entire item; i.e. selling cubic zirconia or other imitations as true diamond. During 2004, the Federal Trade Commission registered more than 98,000 complaints of internet auction fraud, but if consumers are savvy about the risks and carefully weigh their purchases, they can avoid many potential problems. The jewelry is priced far below retail value; these deals may indeed be too good to be true. There are no accompanying photographs or images are too blurry to discern details. The seller offers no guarantees about condition or quality and refuses returns for any reason. The seller insists on being paid in cash or money order with no other options. Few details about the item are provided, and critical characteristics such as setting style, total carat weight, and gemstone qualities are missing or vague. The seller claims to be an authorized dealer of elite designer jewelry such as Tiffany or Harry Winston; these designers do not designate any authorized auction sales agents. Be being aware of potential problems before committing to buying from an online auction, interested customers can determine whether they are able to trust the seller enough to proceed with the sale. In order to avoid scams, particularly for items as expensive as engagement rings and other fine jewelry, buyers should protect themselves at every step in the process. Before bidding on a jewelry auction, investigate the seller's feedback and note the frequency and merit of any negative complaints as well as the seller's responses. Read the auction terms carefully, including return policies, shipping costs, and guarantees. Ask for photos of any quality certificates, sales receipts, and interior inscriptions on the jewelry piece itself to verify its authenticity. Ask questions that are not answered in the auction listing, including verifying ring sizes and other personal matters. Choose a payment method that offers fraud protection such as Paypal or credit card payments. Consider using an independent escrow service for valuable items to protect your payment until the item is received. Have the item appraised as soon as you receive it, and return it if the appraisal does not match the stated value. Always insure the item's shipping for additional protection. Why Shop Online at All? With so many online jewelry auction scams proliferating on every auction site, why consider buying an engagement ring or other diamond jewelry online at all? The truth is, great deals can be found through online auctions if the buyers are conscientious about finding an honorable seller and investigating their purchase. Online auctions are great resources for finding cheap prices, and many sellers offer exceptionally unique pieces that cannot be found in traditional stores. While online jewelry auction scams can take advantage of unwary buyers, knowing which types of scams to watch out for and how to avoid problems can help eager bidders find great deals without fear of being deceived.